Because DPC is a new concept for many doctors, we get questions about what resources are the best to learn more about DPC. While there are relatively few resources for direct primary care doctors to start a practice compared to resources for the traditional fee-for-service model, the resources available to DPC doctors are growing. In this episode I discuss some of the best direct primary care resources giving you my recommendations about books, blogs, websites, conferences, and podcasts that I’ve found helpful. This is a developing field so new resources are always popping up. Keep a look out and let me know if you find a gem you think I might not know about. [1:35] Do you have any guidance about books, blogs, or other resources that might guide me towards an even more serious consideration of establishing my own direct primary care practice? [1:55] Books that have been helpful for starting a direct primary care practice. [3:38] Best direct primary care blogs. [4:30] Best direct primary care support groups. [05:19] Conferences that have been helpful in my direct primary care training, including the DPC Summit, Hint Summit, and the DPC Nuts and Bolts Conference. There aren’t many a family doctor who delivers babies, however Dr Vance Lassey is one of them. And he does it purely via direct primary care. 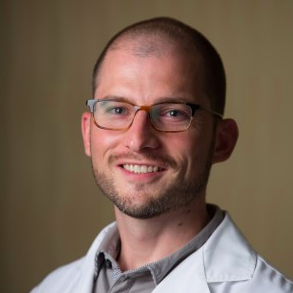 For a low-cost flat fee, Dr Vance provided full spectrum maternity care to his direct primary care patients from conception to birth to postpartum care. What’s more is that he did it without any involvement of health insurance for–what most would consider–affordable prices. In Episode 23, Dr Vance discusses how he’s handled being a DPC doctor who delivers babies, including payment, call and management of complications. He further discusses how DPC provides a level of continuity simply not afforded elsewhere under our current healthcare system. [2:07] What motivated you to start a direct primary care practice in Holton Kansas? [3:42] Did you have a patient base that followed you did you have to start on your own? [5:47] Do you practice in an underserved area? [6:35] Do you do home visits for your direct primary care patients? [7:37] How have your patients responded to your willingness to do house calls and the relationship it allows? [9:40] How did you get into being a DPC doctor who delivers babies? [13:05] How did that work in terms of being on call and your availability for a birth if you were out of town? [15:55] Would you advise other direct primary care doctors to offer maternity care? [23:29] Are you still doing maternity care? Why or why not? Dr. Vance Lassey: Dr. Lassey work with Holton Direct Care in Holton Kansas. He’s a family doctor who founded Holton Direct Care after eight years as a family doctor at a community hospital. Dr. Vance provides a wide spectrum of family care from birth to death. DPC has traditionally grown via family medicine practices, yet as DPC grows, more doctors are finding niches for direct care, such as being house call pediatrician. In Episode 22, Dr Kortney West, a pediatrician out of Baton Rouge, LA, discusses her experience doing exclusively house call pediatrics. In the interview they discuss how housecalls have provided an added level of convenience to her patients, how avoiding the clinic has made the venture more financially feasible and how this has only been possible via a DPC arrangement. [2:37] What was your motivation for starting a direct care practice as a house call pediatrician? [3:20] Why did you get started with house calls? [4:51] Can you tell us a little bit about your patient population? How old are they? Where do they live? How often do you see them? [6:04] Do your patients find it more convenient for you to come to them? [7:45] How does the decision to not take a fee for service or join an insurance network play into being able to spend more time with patients? [8:57] When you left the big hospital system and went on your own but had joined an insurance network, would you have been able to provide the convenience of house calls for your patience? [9:41] Since you’re not in an insurance network how do you handle providing vaccines which most insurance companies will reimburse? [10:11] For parents who want to pay cash what have been some of the prices for vaccines? [10:52] How has the house call model been able to help you keep your overhead costs low in fulfilling your own personal goals? [11:46] What questions would you advise a pediatrician who’s thinking about going solo consider? Dr. West is a native of Lafayette LA and moved to Baton Rouge after her residency. She founded West Pediatrics after working at a major hospital system as a employed pediatrician for two years and now provides pediatric care exclusively via house calls. Parents with children, elderly homebound, and mobility impaired individuals are a few of the many patients who struggle to get to the doctor’s office without considerable difficulty. Yet with the recent surge in home visits, seeing the doctor becomes feasible and for many, enjoyable. In Episode 21, Dr Roussel interviews with house call doctors Dr Marguerite Duane and Dr Matthew Haden about their experience doing house calls for patients in the Washington DC area. In the interview they discuss how being house call doctors has added convenience to their patients, how its helped them avoid much of the overhead associated with running a clinic and how this arrangement has been possible only via DPC. [2:45] When did Modern Mobile Medicine start and what were the circumstances around its genesis? [4:22] What was the inspiration to be house call doctors? [9:20] Do you still do hotel calls? [9:36] Where did you get your referrals when you were getting hotel guests? [10:05] What does a typical day of house calls look like for you? [15:01] How has your practice been able to fill a need for the community you’re working in? [19:47] How does the environment or flow of house call visits differs from the usual clinic routine? [23:03] How has Modern Mobile Medicine allowed you to meet your own personal needs in terms of time and scheduling. And how has the house call aspect has helped with the business side of things? Dr. Marguerite Duane: Dr. Duane is a part of Modern Mobile Medicine in Washington D.C. She is a family physician who does housecall only direct primary care. She has served on the faculty of Georgetown University and as the medical director for two community health centers in the D.C. area. 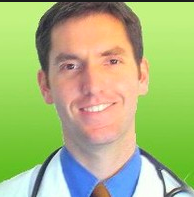 Dr. Matthew Haden: Dr. Haden is a part of Modern Mobile Medicine in Washington D.C. He is a family physician who does housecall only direct primary care. He did his residency at Georgetown University. Most people think of doctors as living a charmed life full of grateful patients, high income, ideal health, and perfect families, but the reality, says Dr. Pam Wible, is very different. Many physicians commit suicide because they feel trapped into providing medicine in what feels like an assembly line, and many more are distressed or–as phrased by pop-psych terms– “burnt out.” Direct primary care, she notes, provides a path for doctors to get out of factory-based care and to do what they went to medical school for. In Episode 20, physician suicide expert and DPC doctor Pam Wible argues that our present-day healthcare payment model is largely to blame for this. In the interview they discuss why physician suicide and ‘burnout’ are on the rise, how to stem the tide of these unfortunate trends and how DPC can help to provide joy and purpose to many doctors who have been hurt by an unfriendly system. [1:51] How did you get involved in speaking about physician suicide and burnout? [4:24] How did that translate into you speaking on suicide amongst physicians and ultimately having these retreats to help physicians who are having trouble shall we say? [8:46] Was your first practice, the ideal clinic you designed with your community, direct primary care practice? [11:40] How do you see DPC in helping stem the tide of suicide or distress amongst physicians? [13:12] Do you think that the sort of continuous insertion of third-parties into insurance based care effects physicians likelihood or predisposition to depression and anxiety? [13:38] What advice would you give to physicians who are in the system and feel like they can’t escape? [15:42] Would you offer your encouragement the physician who’s mired in a hospital based practice or a multi-practice group to jump out on their own if that what they’d like to? [16:54] Why is it so important to you to help other physicians realize their dreams? [18:15] How can our listeners find your blog and your retreats? Dr. Pam Wible: Dr. Wible is a direct primary care doctor from Oregon and an internationally known speaker, blogger, and author. She has appeared on CNN, NPR, and in a TED Talk. She is the author of “Physician Suicide Letters Answered” and has devoted her career to help prevent physician burnout and suicide. How does Medicare affect DPC? Should DPC doctors opt-out of Medicare to avoid legal problems? Can a DPC physician charge for services not covered by Medicare? Has the Office of the Inspector General ever gone after a DPC practice or clinic? In the interview, DPC compliance expert Jim Eischen discusses important factors to consider with DPC and Medicare. For DPC doctors who accept Medicare assignment, Eischen argues, they must be careful to not bill for services covered by Medicare. That said with appropriate legal homework they can safely bill ‘fee for non-covered services’ and still accept Medicare assignment. In the interview Eischen discusses how this can be done and what factors to consider for a DPC practice considering whether or not to accept Medicare assignment. [1:49] How did you get involved in doing legal work for direct primary care doctors? [6:20] What have you seen in your work with who do both DPC and Medicare assignment? [10:19] If a doctor has opted in to Medicare is there a way for a DPC physician to charge a membership fee? [15:58] Can you charge a patient for fees that are not covered in Medicare and do that on a monthly basis as a membership fee and how would you do that? [18:43] What services are not covered by Medicare that a DPC doctor can charge a membership fee for? [20:38] Isn’t the Annual Wellness Visit (AWV), the Initial Preventive Physical Examination (IPPE), and the G0439, covered by Medicare? [24:44] Has the federal government taken action against a membership based physician? Jim is a licensed attorney who works with McGlinchey Stafford in Irvine, CA. He has several decades of experience as a lawyer and is an expert in the area of direct primary care. He has spoken around the country on DPC and Medicare. DPC doctors know all too well that a pound of prevention is worth more than an ounce of cure. That saying is just as true when it comes to the legal aspects of setting up and growing a DPC practice. The doctor/patient relationship is all about trust, and that’s especially true for DPC physicians. In Episode 18, Attorney Luanne Leeds provides guidance for doctors thinking about starting a DPC practice. In particular she elaborates on three legal issues they need to address right from the start. (1) Will they accept Medicare? (2) What about previous contracts? (3) How can doctors create a good dpc patient agreement? [1:54] How did you get into doing legal work for direct primary care? [4:45] What would you rate as the top three legal issues that a direct primary care doctor needs to address when they’re starting a direct primary care practice? [8:37] What are some of the typical areas where misunderstanding in a direct primary care agreement show up? [15:42] Can doctors draft their DPC patient agreement themselves or should they seek legal help? [18:26] What can a doctor reasonable expect to pay to have a patient contract drafted? [21:47] How can a doctor go about finding a lawyer who has experience helping DPC practices? 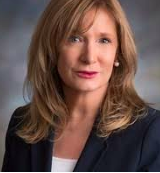 Luanne Leeds: Luanne Leeds is one of the most experienced attorneys when it comes to direct primary care. 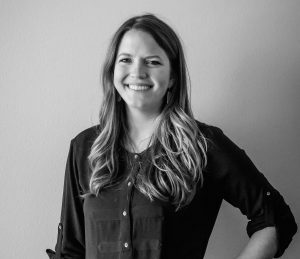 She works with Leeds Law out of Topeka Kansas and has been retained by many DPC doctors to help them manage the legal issues involved in starting and maintaining a healthy DPC practice. Historically, short term medical insurance plans were used as a bridge for clients changing jobs, but with the recent rise in insurance premiums, short term medical plans have become an attractive option for many to obtain some sort of health insurance coverage at an affordable price. In Episode 16, Dr Roussel talks with Kurt Wagner, a seasoned health insurance agent out of Baton Rouge, LA, and Mandy Jacobson, a seasoned financial advisor out of Baton Rouge, LA, about the benefits of short term medical and how they can be combined with DPC membership to provide healthcare coverage that would otherwise not be affordable. [2:30] How do short term medical plans cover a patient’s medical needs but don’t have a major medical plan? [2:54] What are the typical policy periods you see in short-term medical plans? [3:08] Have you come across situations where patients have been denied coverage because of a pre-existing condition? [5:26] What’s the distinction between a short-term plan and a major medical plan you may get from your employer or on HealthCare.gov? [7:28] How big of a difference is the cost between short-term and long-term coverage? And how does that price difference effect the level of coverage? [10:05] Which carriers offer short-term medical plans and what are the coverage length of those plans and the renewal periods? [14:01] Are these plans available everywhere? Or does it depend on where I live? [14:30] What changes have you seen to the health insurance marketplace over the last few years? [18:33] Why do insurance agents and companies seem to be averse to working with primary care doctors and primary care clinics? Kurt works is an insurance agent in Baton Rouge, LA with National General Insurance Company. He’s worked in the health insurance market for more than ten years. He has spoken on Louisiana Public Broadcasting (LPB) about direct primary care. 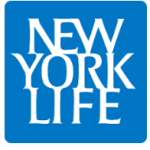 Mandy is an insurance agent with with New York Life Insurance Company. She has served as a financial advisor out of Baton Rouge for many years and has extensive experience with short-term medical options. Small businesses can often save substantial sums by providing employees with Direct Primary Care along with self funded insurance plans, which provides more access to healthcare for the employee via DPC along with substantial reductions in premiums via the self funded insurance plan. In Episode 32, Dr Roussel interviews Dan Meylan, a seasoned insurance agent with decades of experience in third-party administration, who discusses how combining self funded insurance plans with DPC works and how it can substantially improve care and reduce costs. As well, they talk about how many insurance agents aren’t offering them because they’re used to plans that offer a fixed commission over serving as advisors who negotiate a price for serving as a consultant rather than a broker. Finally, Dan gives his thoughts on why insurance companies have unwilling to give up the networks, even though their network-free (reference based pricing) insurance plans save money. [2:37] What is Allied’s history with self funded insurance plans and how Alliend has come in contact with direct primary care? [5:39] How many plans do you have for patient who see direct primary care doctors? [6:49] What’s the average employer size for your self funded insurance plans? [9:36] What would your recommendation be for employers that go through medical underwriting where it would be more costly because of the health state of the employees to get underwritten? [11:14] What is the Freedom First Plan and what pricing model does it use? [15:47] Many insurance companies are very reluctant to let their health care networks go. Why is that? [18:51] Why are so many insurance companies unwilling to work or adapt to direct primary care? [25:37] What is the impact on direct primary care physician’s actions are on the overall cost of care? [26:44] Why aren’t insurance agents “getting it” when it comes to direct primary care? [28:52] What should a PCD do to get more information on working with Allied? Dan Meylan VP of sales with Allied National Insurance in Kansas. Dan has spoken around the country about self-funded insurance plans. Dan is an excellent resource for direct primary care related insurance questions. Dan trains insurance agents around the country on how to integrate direct primary care options into their consultation process with employers. Having spent six years Allied National and many more in the insurance market Dan speaks from his deep experience.